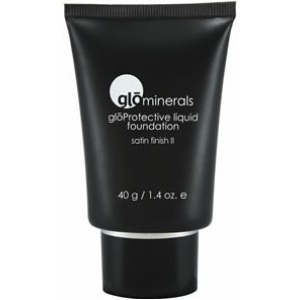 A liquid mineral base available in satin II and matte II finish. 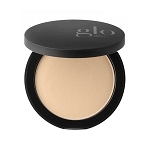 *Matte formulation is only available in golden, golden-light, beige and honey. My favorite foundation! 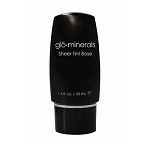 Great coverage and long lasting! Smooth, soft, natural looking. I strongly recommend this product. Using the foundation brush, apply makeup in downward strokes on to the face. Layer for additional coverage. Water, Phenyl Trimethicone, Cyclomethicone, Hydrogenated Polyisobutene, Glycerin, Dimethicone Crosspolymer-3, PEG/PPG-18/18 Dimethicone, Thermus Thermophilus Ferment, Propylene Glycol, Nylon-12, Polyglyceryl-4 Isostearate, Cetyl PEG/PPG-10/1 Dimethicone, Hexyl Laurate, Disteardimonium Hectorite, Propylene Carbonate, Malachite Extract, Methicone, Retinyl Palmitate, Tocopheryl Acetate, Ascorbyl Palmitate, Phytonadione, Aloe Barbadensis Leaf Extract, Chamomilla Recutita (Matricaria) Flower Extract, Camellia Oleifera Leaf Extract, Lavandula Angustifolia (Lavender) Extract, Caviar Extract, Carthamus Tinctorius (Safflower) Seed Oil, Xanthan Gum, Sodium Chloride, Methylparaben, Propylparaben, Imidazolidinyl Urea. May Contain: Iron Oxides (CI 77499), Titanium Dioxide.